The Hoi An Red Frangipani Villa is located at a small village where has the very paddy-field along the romantic river. In addition, this is also the most convenient position to visit Hoi An old quarter and Cua Dai beach, especially it just takes 10 minutes for tourists to come beach or old quarter by bicycle. With the harmonious architecture, you can really see the peaceful neighbouring country with the wondrous sunrise in the early morning, romantic river, the green nipa palm forest. You will have opportunity for experiencing a rustic and simple lifestyle o farmers in this small village. 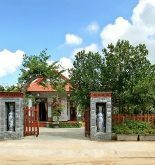 The combination of the best services and beautiful nature will provide tourists the great relaxation movements at Hoi An Red Frangipani Villa. 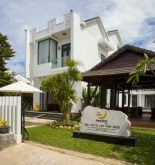 Address: group 4, Thanh Tay block, Cam Chau ward, Hoi An, Quang Nam, Vietnam. 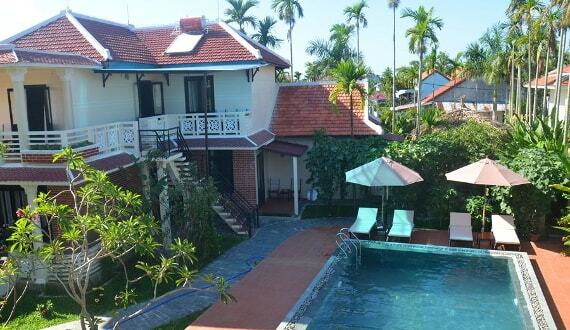 This information has been supplied by Hoi An Red Frangipani Villa.